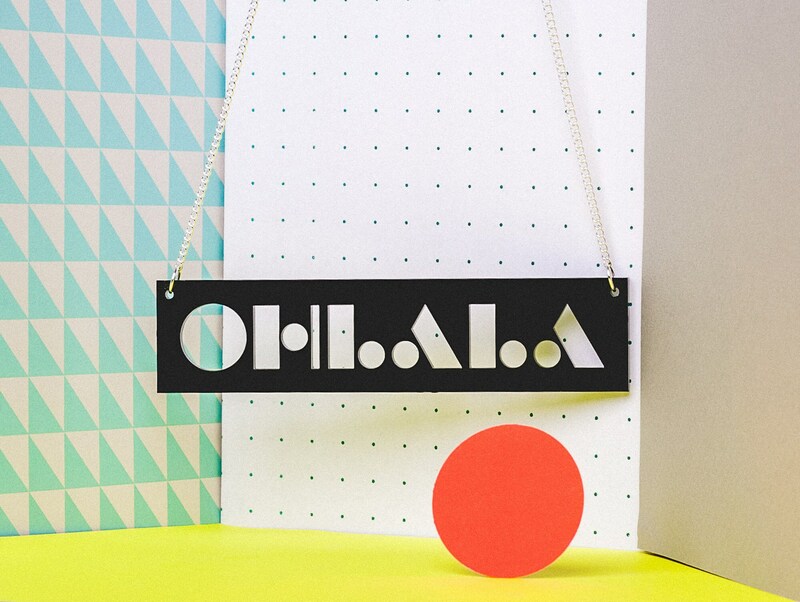 Make a statement with this playful black typographic OHLALA black acrylic necklace. 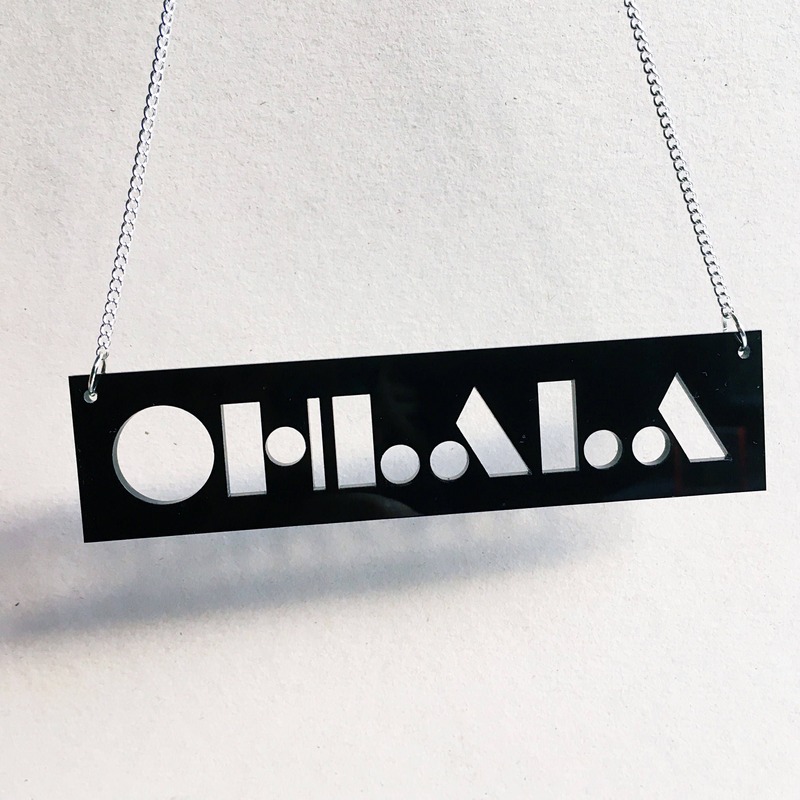 The design is based on my hand drawn geometric lettering, laser cut from 3mm black acrylic then assembled by hand to a 15" silver plated chain. 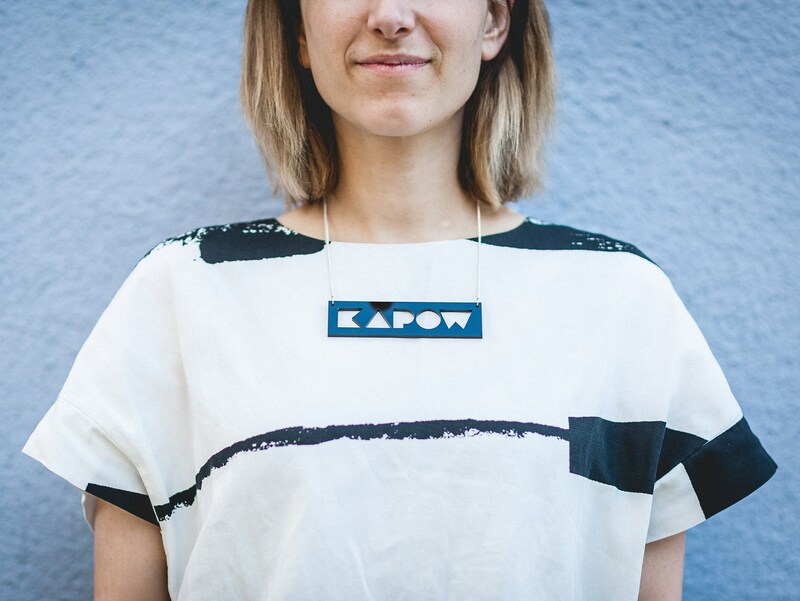 The necklace will come presented on a A6 geometric pattern Risograph print. © 2019 A Spoonful Of Sugar and Co.